___ Welcome to the Butterfly Skin Care! Escape into a world of total comfort, relaxation, and rejuvenation. Treat yourself to a luxurious experience...you deserve it! Our full service spa will make your stress fade away into a distant memory. Butterfly Skin Care is focused on providing high-quality service and customer satisfaction - we will do everything we can to meet your expectations. We hope you can find everything you need. Indulge yourself with one of our special packages, and experience a specialized combination of treatments that will perfectly transform your body and spirit. 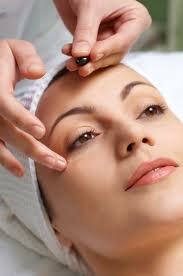 Our first-class service includes a variety of facials, scrubs, skin care, and waxing services. We specialize in Microdermabrasion and DermaFrac.